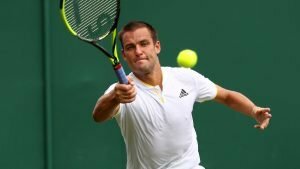 The 2018 tennis season is drawing to a close and a few noteworthy veterans have decided to hang up their racquets and retire from professional tennis. Last year saw the retirement of former World Number 1 Ana Ivanovic and a few other significant players. This year, there have been other notable tennis stars who have decided to call it a day. To be honest, one cannot blame them as this season has been gruelling. 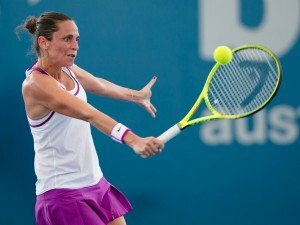 Roberta Vinci who was a runner-up in the all-Italian US Open final of 2015 decided to call it quits this year. A prolific doubles player, Roberta Vinci won 5 Grand Slam Doubles titles and reached Number 1 in the WTA doubles rankings. Her highest singles ranking of Number 7 came in May 2016. One of the most notable thing that Vinci has done is put a stop to Serena Williams’ chase of a Calendar Slam at the 2015 US Open semi-finals. Vinci was one of the few players in the Tour to employ a one-handed backhand won. The Italian has won a total of 35 WTA titles. Italian player Francesca Schiavone is one of 4 Italian women to have been ranked in the WTA Top-10 and was the first Italian to win a Grand Slam title. Her career-defining moment came at the 2010 French Open final where she beat Samantha Stosur in straight sets to take home her maiden Grand Slam singles title. Schiavone, a gifted clay court player, made the final at Roland Garros a year later. Unfortunately, she finished as runner-up to China’s Li Na. 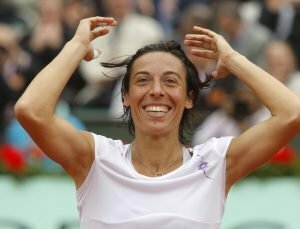 Having reached a career-high ranking of Number 4 and with 8 WTA Singles titles, Schiavone decided to quit professional tennis at the age of 38 earlier this year. The French player battled a debilitating disease and lost 20kg of weight in the process. She attempted to make a comeback but ultimately decided to coach future stars. Bartoli had initially targeted the Miami Open in March before switching her efforts to the American hard-court season but admitted defeat after the shoulder problem that prompted her retirement resurfaced. 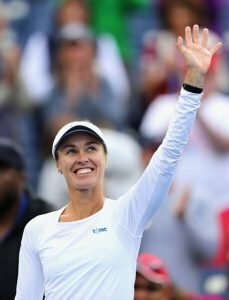 Hingis won the 2017 Wimbledon and US Open mixed doubles titles and regained the number one doubles ranking. After being inducted into the International Tennis Hall of Fame, she returned to the doubles circuit in 2013 and went on to win another 10 major doubles titles, bringing her tally of career Grand Slam titles to 25, as well as Olympic silver alongside Timea Bacsinszky in Rio 2016. 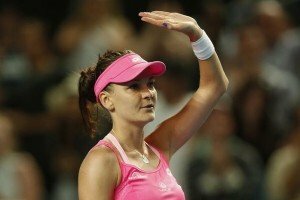 Former Wimbledon finalist Agnieszka Radwanska announced earlier this month that she is retiring from tennis after a 13-year career. Radwanska bagged a grand total of 20 WTA titles in her career. She reached the Wimbledon final in 2012, losing to Serena Williams in three sets. Radwanska also reached the semifinals at the All England Club in 2013 and ’15, as well as reaching the French Open semifinals in 2014 and ’16. 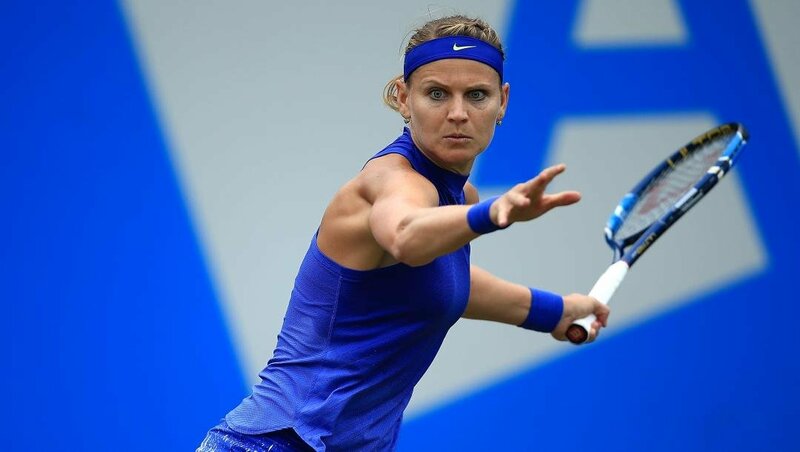 Lucie Safarova had planned to officially end her career at the Australian Open later this month. Sadly, she won’t get the opportunity to say a proper goodbye to both tennis and her many friends in the game. As it turned out, tendonitis in her wrist has forced the veteran Czech to scrap those plans. The 31-year-old (she turns 32 Feb. 4) won the Australian Open women’s doubles title in both 2015 and 2017 with good friend Bethanie Mattek-Sands. 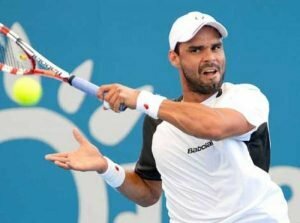 The 34-year-old Colombian announced his retirement from the Tour in a conference call in Bogotá on Thursday. ‘Many emotions are going through my mind, from the memories of the sacrifices I did as a kid with the biggest results that seemed difficult to achieve. Now it came the moment to start another stage of my life.’ Falla achieved a career-high singles ranking at No. 48, won 13 Challenger titles and played 2 ATP Finals: Bogotá 2013 and Halle 2014. But he is well-known for being close to defeating Roger Federer at Wimbledon in 2010. The 34-year-old achieved a career-high ranking at No. 18 in June 2011. He boasted of a 241-252 win/loss record on the ATP Tour, and two titles: 2011 Bucharest and 2016 Halle. His best Grand Slam result are two Wimbledon quarter-finals in 2004 and 2012. 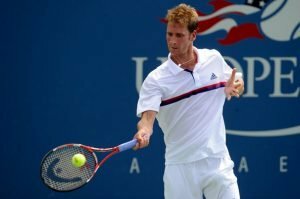 Mayer announced his retirement ahead of the BMW Open in Munich, and he will leave the ATP World tour after the US Open. Seventeen years on the tour left its marks as Mayer struggled with injuries and surgeries. He underwent a surgery on his left index finger in 2008 and missed seven months. Besides, he was plagued with shoulder, groin and adductor injuries, which kept him off the court for several months. The 35-year-old Luxembourg native announced that the 2018 season will be the last one in his career. 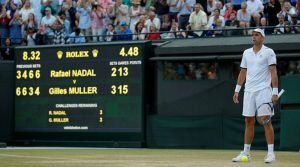 It had been a terrible year so far for Muller, who dropped from 60th to 95th ranking position as he lost to Philipp Kohlschreiber in the Wimbledon second round. He had reached quarter-finals last year, defeating Spaniard Rafael Nadal in the fourth round. His run had ended against Marin Cilic in five sets. Muller also reached 2008 US Open quarter-finals, losing to Roger Federer. He won two ATP career-titles both in 2017. He was the world no. 1 junior and as professional he had a good career achieving a career-high ranking at No. 21 in July 2017. In his statement, Muller said he took this decision in order to feel free mentally and focus on 100% on tennis. 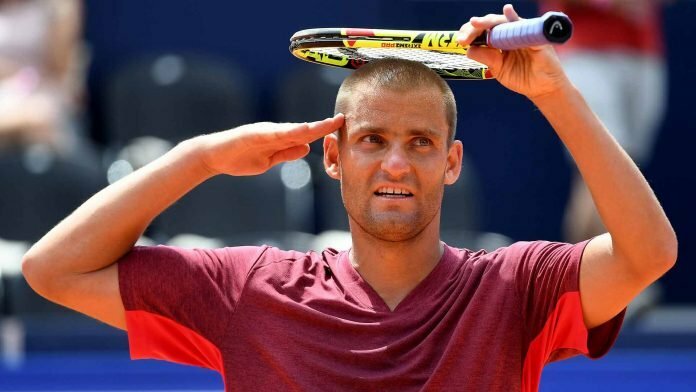 Mikhail Youzhny was the top-ranked player in Russia for many years and reached a career-high ranking of World Number 8 in January 2008. Youzhny spent many weeks in the Top 10 and has progressed to at least the quarterfinals stage in every Grand Slam tournament. His best performance came at the 2006 US Open where he made the semi-finals after beating Rafael Nadal in the quarterfinals. ‘The Colonel’ was part of the victorious Russian Davis Cup Team in 2002 and 2006. 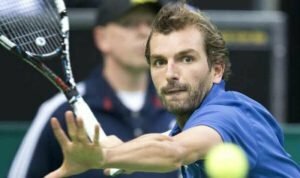 The 2018 St. Petersburg Open was his last tournament, retiring with 10 ATP singles titles. Frenchman Julien Benneteau walk off the court for the final time at the US Open with no regrets. The 36-year-old, like most players when they reach retirement, wished he could have accomplished a bit more. His 0-10 record in ATP World Tour singles finals has stung him in the past. 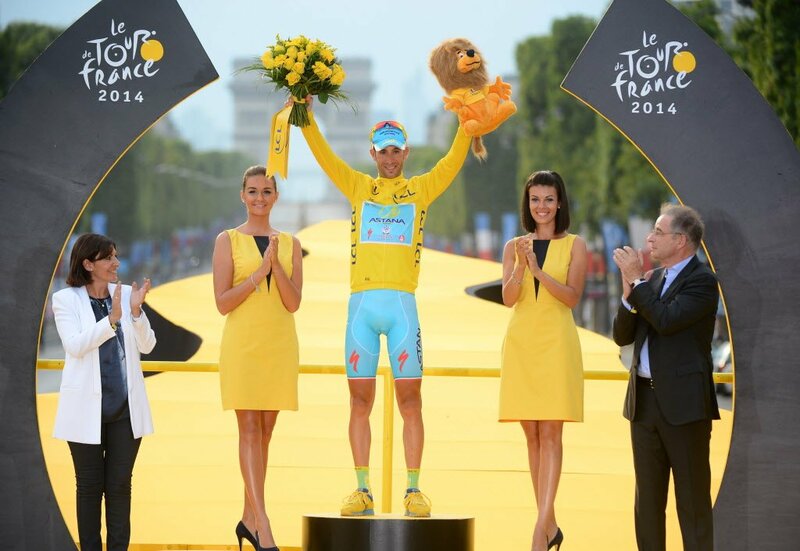 But the Frenchman has done so many other things that most players will never be able to claim. 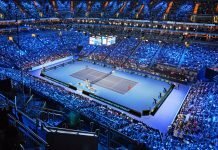 This includes beating Roger Federer twice, winning a Grand Slam doubles title (2014 Roland Garros, with Roger-Vasselin) and celebrating 11 other tour-level doubles crowns. 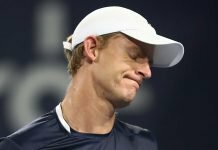 Jurgen has not been ranked inside the Top 100 since May 2015 and he was forced to undergo a shoulder injury in November, returning in July next year to play eight tournaments to finish just outside the Top 300. 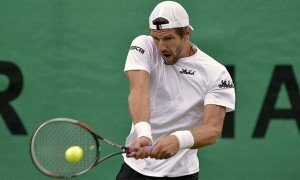 Melzer had a chance to play against Roger Federer at the Australian Open in 2017 and he won Budapest and Wroclaw Challengers in February, returning into the Top 200 but not being able to continue in the same style in the rest of the season, missing the second part of the season after Ilkley Challenger in June. His career-best ranking came in April 2011, just before turning 30, and he scored 59 Grand Slam and 57 Masters 1000 wins. Jurgen was the semi-finalist at Roland Garros in 2010 when he overpowered Novak Djokovic in the quarters after dropping the opening two sets, reaching the last 16 in the following three Majors as well. 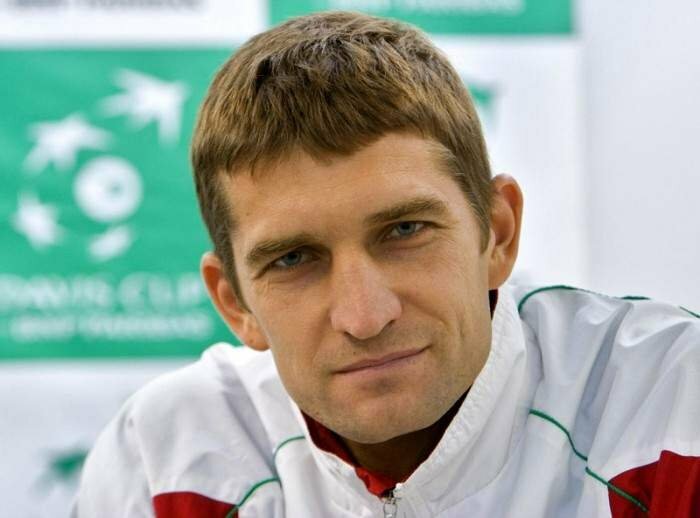 Max Mirnyi retired from professional tennis at the age of 41 but the Belarussian has no regrets whatsoever. He had been competing for 22 seasons, winning 52 doubles tournaments on the ATP World Tour. This included six majors in men’s doubles and four more in mixed. His first doubles title came in 1997 and his last was earlier in 2018. He took the No. 1 world ranking in doubles for the first time in June 2003, staying there for 57 weeks. He also climbed to a career high of No. 18 in the same year. He was one of only nineteen men to become a top 20 performer in singles in addition to being the top rank in doubles. Mirnyi has many more credits in his cabinet, including 16 Masters 1000 doubles crowns. He secured 1,024 match victories combined in singles and doubles, maintained a top 100 doubles ranking for twenty years in a row. He was a stalwart Davis Cup player for Belarus, and proudly represented his country at the Olympic Games five times—taking a gold medal in mixed doubles with Victoria Azarenka in 2012.